Mellbye Arkitektur Interiør AS is a well-known full-service supplier of architectural services. Ever since starting out, the office has worked with projects where individuality has been a goal While the office is anchored in modernism, assignments have been solved and customised in accordance with the constraints established by both the surroundings and the developer. The office has a wide range in its projects. 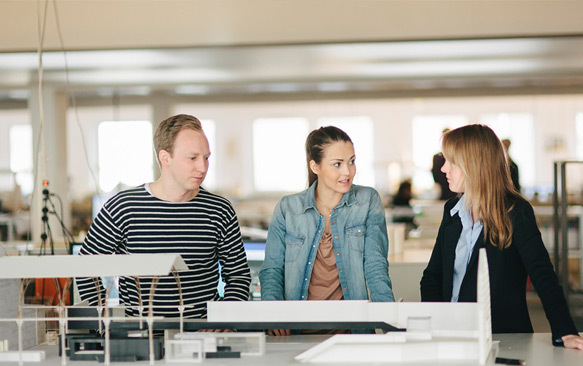 From special assignments such as Tryvannstårnet, institutions, hotels and commercial constructions to smaller smaller projects such as family homes and interior design assignments. The office is also known for its many restorations of important buildings in Oslo. With solid experience in the planning of projects of significant size and complexity, the office is familiar with the issues one usually faces in this context. A significant portion of the office assignments are conducted for professional and private repeat clients. Some of these have worked with us for many decades. Although our assignments are in Norway for the most part, we have completed assignments in India, Kenya, Ireland and France for both Norwegian and local clients. The office balances its commercial work with several pro-bono assignments. These include a comprehensive collaboration with Basecamp Explorer in three continents and collaboration with Greenudge concerning the design of 100% recyclable office layouts. Mellbye currently employs 18 architects, interior designers and product designers. 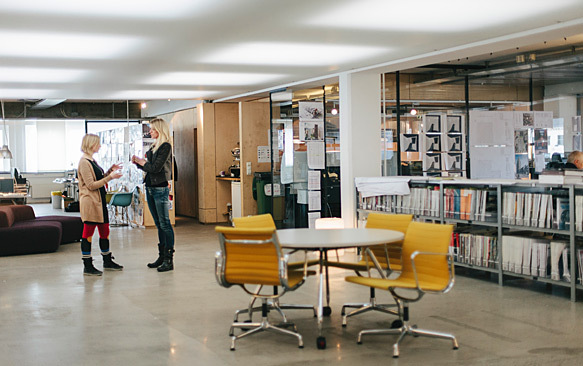 This breadth of expertise is necessary for a full-range architecture office, but is also important to stimulate creative interdisciplinary thinking. The office is approved for central certification according to development class 3, and is also certified as an Eco-Lighthouse business.